A very important plant species is being reforested in Santa Cruz. Not only is it an incredibly unique and beautiful tree, but it will also bring back a very beautiful land bird back to the island! 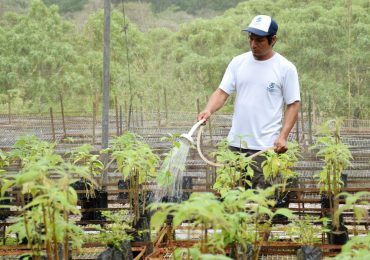 One hundred thousand scalesia plants have been reforested in Santa Cruz Island! Scalesia is endemic to the Galapagos Islands. There are around fifteen species that grow in the form of shrubs or trees. This is very rare for the family they belong in (asteraceae). The largest species is Scalesia pedunculata- growing up to 15 to 20 metres tall. It only takes a few years for them to reach full maturity. On Santa Cruz, San Cristóbal, Santiago and Floreana you can find these trees with an altitude of 400-700 m.
From the beginning of 2010 to present day, the forest nursery of the Directorate of the Galapagos National Park has achieved the production of more than 100,000 Scalesia pedunculata plants. 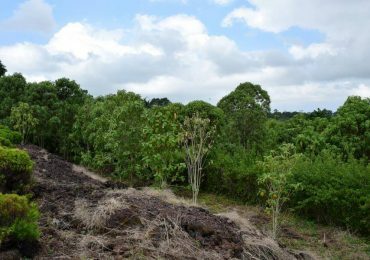 This project has been specifically for reforestation and restoration of the Scalesia pedunculata plant in invasive plant ecosystems. Some of these invasive species are the blackberry and guava on Santa Cruz Island. 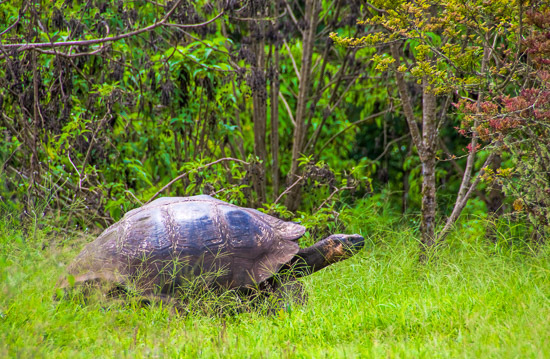 This is amazing news, because not only are we restoring more of these incredible trees, but the restoration of this species allows many species of land birds to return to the island. Most importantly, the witch bird, whose population reduced due to the loss of the forest surface of Scalesia pedunculata.